At some point in his or her reading life, the fan of C S Lewis learns that he was, in fact, a literary critic, a scholar of Medieval and Renaissance Literature at Oxford and at Cambridge. This fact will probably not influence the selection of most of Lewis’s fans — it will probably deepen an appreciation of certain facets of his writing or help explain some of its oddities. Most of Prof. Lewis’s readership, however, will probably not stray far from the canon of Narnia, The Screwtape Letters, Mere Christianity, the various collections of essays produced in his lifetime and beyond, as well as the less famous but well-worth-the-effort terrain of the Space Trilogy — Out of the Silent Planet, Perelandra/Voyage to Venus, and That Hideous Strength — and Till We Have Faces with a glance through Miracles for the bold. How many Lewis fans have read An Experiment in Criticism? Studies in Words? The Discarded Image? Studies in Medieval and Renaissance Literature? The Allegory of Love? A Preface to Paradise Lost? I imagine the fans of Lewis and Milton will certainly have read that last; I have yet to, nor have I read Studies in Medieval and Renaissance Literature and The Allegory of Love. I intend to. First, An Experiment in Criticism. This book is Lewis’s response to a sort of unpleasant ‘evaluative’ criticism, criticism that distinguishes between bad books and good books. This sort of reading still rears its ugly head, as Anne Fadiman discusses in her fabulous essay ‘Procrustes and the Culture Wars’ in At Large and at Small, discussing a critic who says that Huckleberry Finn isn’t even worth reading, not worthy of being called literature because of perceived moral failings on Huck’s part. True story. It also exists all over the place, as all readers of ‘genre’ (sci-fi, fantasy, horror, mystery/crime) fiction know. Lewis steers the reader away from such a perception of the universe, to a question rather of types of readers as against books. This distinction speaks of an attitude towards literature (or, indeed, any art). Does someone read and reread certain books multiple times? Does this person read for the sheer delight of words, images, stories, poems? Or does someone read a book but once, always seeking new territory? Does this person read for moral improvement, because these books are fashionable, because they are ‘important’? The great thing is, in Lewis’s distinction between the many and the few regarding any art, we can all join the ranks of the many. We can all learn to reread and rewatch and relisten over and over again, to delight in words and rhythms, in brushstrokes and pirouettes, in appoggiaturas and crescendoes. It is partly a matter of attitude, partly a matter of practice, partly, in some ways, a matter of training. I, for example, am by and large of the many when it comes to painting. I tire quickly of Attic black figure vases. Unless a painting is startingly breathtaking, I will not spend too much time on it. I believe that, with more exposure and patience, with more books about artistic technique, I could become a better ‘reader’ of paintings. If I wanted to. This is not all Lewis has to say — there is a wonderful chapter on myth. But the book is worth a look. It is worth reading for making you think about how you read books, not simply which books you read. And that is a worthy endeavour. Second, Studies in Words. To the non-philologist, this may be the most dreary of the three I have chosen to highlight. Nonetheless, this book gets my stamp of approval because his chapter on ‘Nature’ opened my eyes to some problems inherent in the study of Pope Leo. Besides dealing with 10 particular words and how they are used and have evolved over time (nature, sad, wit, free, sense, simple, conscience/conscious, world, life, I dare say), this is one of those books that helps teach you how to read and think. You learn attentiveness to syllables, sounds, and meanings with a book of this sort. You start to watch the words you use and read more carefully. What is wit? (See the film/play of the name!) Is there a difference between the old, 1662 Prayer of Humble Access saying, ‘…thou art the same Lord, whose property is always to have mercy’ and the Common Worship version, ‘…you are the same Lord, whose nature is always to have mercy’? What use of nature is that? I dare say that it will help you be a more careful reader, something we could all use. 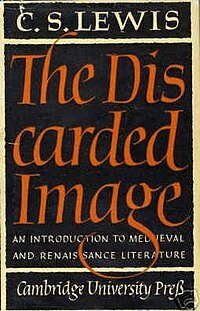 Third, The Discarded Image: An Introduction to Medieval and Renaissance Literature. I love this book. 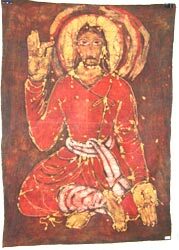 It opens the reader’s eyes to the mediaeval conception of the universe as well as to techniques and styles of literary rhetoric and of medieval tastes. The starkly pagan aspects of medieval philosophy are not shied away from, but the beauty of classical styles of rhetoric is upheld. Lewis is fond of the Ptolemaic conception of the universe. In his discussion of this framework, he acknowledges the fact that it has been proven wrong. Yet who knows how accurate our current vision is? When a new spirit of thought begins to take hold, and new evidence is then discovered, then we shall no doubt dispense with it as well. In these thoughts, he is similar to Chesterton in an essay which escapes my mind, wherein G K says that it is not the visible and tangible that moves the unseen and philosophical but the other way ’round. A tree does not move the wind; the wind moves the tree. And so, someday, as our worldview shifts, we will be able to reassess the evidence and may reach a vastly different conclusion about the makeup of the cosmos than current. It will not, Lewis admits, be Ptolemaic. Nonetheless, he is still fond of Dante’s universe, with the Primum Mobile moving everything out of Love of God. He recommends a couple of moonlit walks to help one come to an appreciation of the medieval conception of the universe. This book also has a wonderful chapter on the longaevi, those numinous beings who inhabit so much of the folklore, myth, and literature of the pre-modern world, be they fairies, nymphs, minor gods, spirits of rivers, what-have-you. Worth a read. But what does this have to do with Classic Christianity? First of all, most Anglophone Christians who begin seeking older forms of our faith, especially if they are Protestants, do so either along with or through the influence of C S Lewis. A greater understanding of this highly influential thinker of the 20th century is, then, in order for such as these. The other reasons are thus: Our access to our forebears of the faith is largely through their written words. To become better readers is to be able to better apprehend these words and thus more faithfully find a way forward in life with their aid. Fully one half of Christian history is medieval. To better understand the medieval world is to better understand our heritage as Christians. Third, much of the riches of ages past is locked away not in ‘straightforward’ theological treatises, but in poetry, in fiction, in not-so-clearly-theological philosophy, and so forth. To understand that aspect of the heritage more fully is to understand the heritage at large more fully. Thus why you should read these three books. These are the primary activities of worship as praise, remembering God, proclaiming his character, recalling his actions, entering into his presence in our midst. May you spend all your days worshipping the LORD in the beauty of holiness! What Good Has ‘Religion’ Ever Done? In an age where Westboro Baptist stages its “God Hates the World” and “God Hates Fags” demonstrations, where terrorists crash airplanes into buildings (or blow them up), where Pastor Terry Jones threatens to burn the Qu’ran, where people sometimes destroy property and human life in their anti-abortion stance, where Christians who have converted from Islam are systematically tortured or executed in some countries, where former President G W Bush used biblical rhetoric to underlie engagements in Afghanistan and Iraq, where Hindus in India attack Christian minority groups, where Christians and Muslims in Nigeria often turn to violence against one another — in such a world, many people have a hard time seeing what good “religion” and, frequently, Christianity in particular, has to offer. Historically, it is easy to see the good that religion has done (thus giving the lie to Hitchens’ subtitle, “How Religion Poisons Everything”). We need look no further than the hospitals of the city of Toronto, one, St. Michael’s, founded by Roman Catholics and another, Mount Sinai, by Jews. Historically, religious people have been on the front lines of providing healthcare. Livingstone brought both the Bible and medicine to Africa. 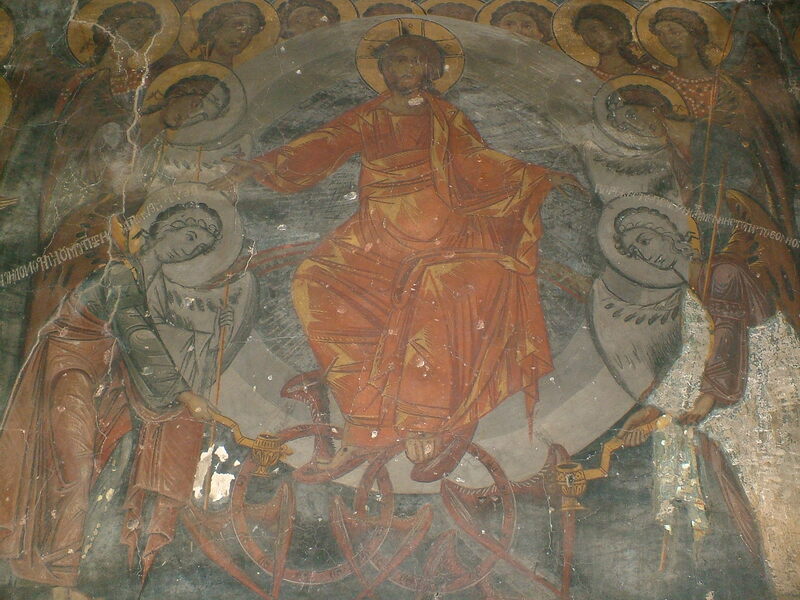 The first hospitals of the Byzantine and mediaeval worlds were church organisations. Historically, the arts show us to what heights religion can take man, even if today’s “Christian Art”, be it music, novels, or trashy Jesus paintings, makes me shudder. We have the glories of Palestrina’s Missa Papae Marcelli, of Bach’s St. John Passion, of Handel’s Messiah, of Haydn’s Creation (my post on that last one here). I have posted previously about Christian fiction — there is great narrative art from the pens of Christians, from the Anglo-Saxons to Dante to Spenser, Milton, and Bunyan to Chesterton, Waugh, Lewis, Tolkien, Buechner. The Christian faith has produced some consummate storytellers. 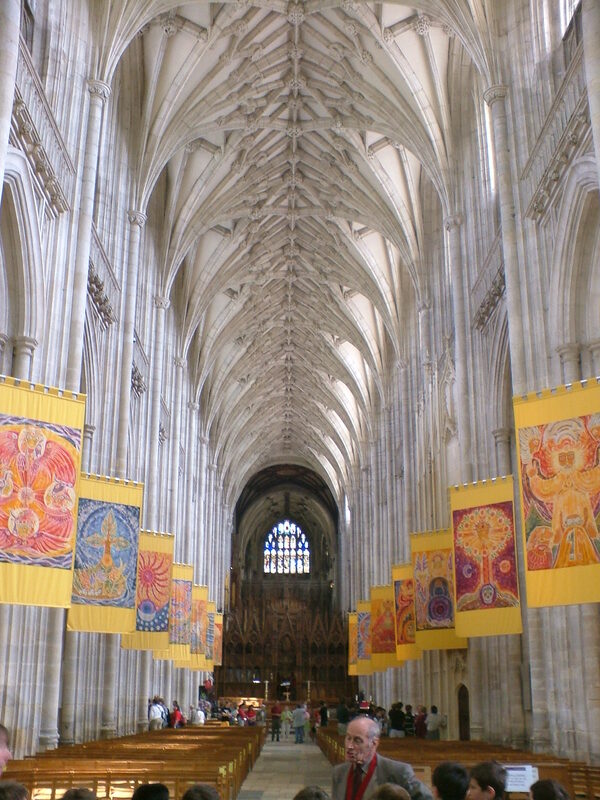 Any cathedral with its stained glass intact can tell you that in no way is religion an entirely bad force. Behold the Sistine Chapel! Gape at the illuminated Winchester Bible! Stand in awe before Michelangelo’s Pieta! (Sorry I used Buonarroti twice.) Any history of art that covers the Middle Ages and Renaissance will give a good hearty drink of what good religion can produce. If you watch the video Palestrina’s link takes you to, you will see some of the architecture of the Church. Christianity has produced some amazing architecture over the centuries. So have Hinduism, Buddhism, and Islam. When a person is striving for the highest good, when striving for something greater than one’s own petty self, beauty can be achieved. But what good does religion do today? A lot of people think that it has outlived its usefulness, that it has become nothing more than a source of strife and division, that our society has evolved beyond needing religion. Well, in purely “practical” terms (ie. beyond what I see as the spiritual benefits), religion has built at least one hospital in Angola and a nursing school with it and another nursing school in the Democratic Republic of the Congo. These are recent foundations. Religion has brought many a person off the street, out of addiction, and into the workforce through organisations like the Salvation Army, Shelter House, Bethany Christian Trust. In Toronto, I spent a good number of Saturdays at Toronto Alliance Church, the “Upper Room”. This church is in the upper level of a storefront on Queen St. near Bathurst. If you know Toronto, you have visions of that area with the intersecting streetcar lines, the street-health clinic, the street people, the community housing, the nifty shops, the closed down shops, the Starbucks on one corner, a mission to street people on another, Pizza Pizza the third, and a bar (now closed) on the fourth. Every Saturday night at Toronto Alliance is “Community Night.” There is a meal — soup & sandwich or something more filling, always warm — a clothing room full of donations people have brought, a nurse who can look after people’s feet (this is a real problem for a lot of people who live on the street), and a food bank. Part-way through the night, the eclectic group of people who has gathered for food and friendship has a church service gathered around the tables. There are always some of those old “revival” hymns, like “Just As I Am,” and frequently a lot of the people present know and love these hymns. Then there is a message from someone on the church’s ministry staff; when I went, usually Bill or Doug. The message was simple and always focussed on Jesus and the hope he brings and the change he can make. These church services are sometimes raucous affairs. I’ve never seen banter during an Anglican sermon, but there would be banter here. People would often still mill about, but not many. Some people looked uninterested, but others took a keen interest in the hymns, prayers, and sermon. Bill, the pastor of Toronto Alliance, knows a lot of the people who come out to Community Night. He’ll chat with them, see how they’re doing, show real concern for them and their welfare. We often think that helping out that vague, amorphous group “the unfortunate” is a matter simply of food, shelter, clothing. It is also very much a matter of love, as I witnessed in Cyprus, of love for the lonely, friendship for the friendless, and light for the lost. Saturday nights at Toronto Alliance Church provide for the whole person. That alone tells me that religion is of much good in this world, in spite of Westboro Baptist and Islamist terrorism.